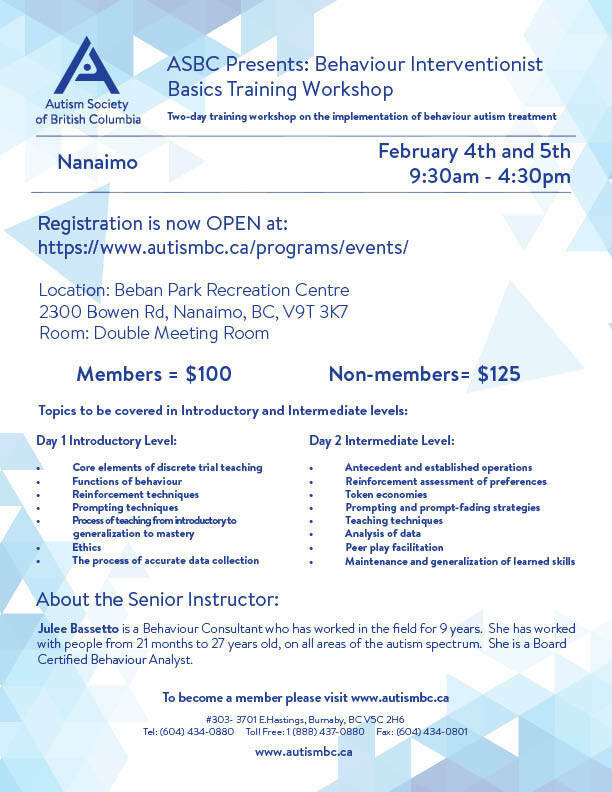 The course provides foundational training for individuals interested in working with a home-based Behaviour Intervention team under the supervision of an ABA Consultant and Lead Therapist, and/or parents and professionals looking to gain a better understanding of ABA Therapy. This two-day training on the implementation of behaviour autism treatments is run by highly experienced behaviour consultants. Day 1 introductory level covers the core elements of discrete trial teaching, functions of behaviour, reinforcement techniques, prompting techniques, ethics and data collection. On Day 2, participants delve deeper into the mechanics and learn about antecedent and established operations, reinforcement assessment of preferences, token economies, prompting and fading techniques, and data analysis. This entry was posted on February 4, 2017 by ACT.